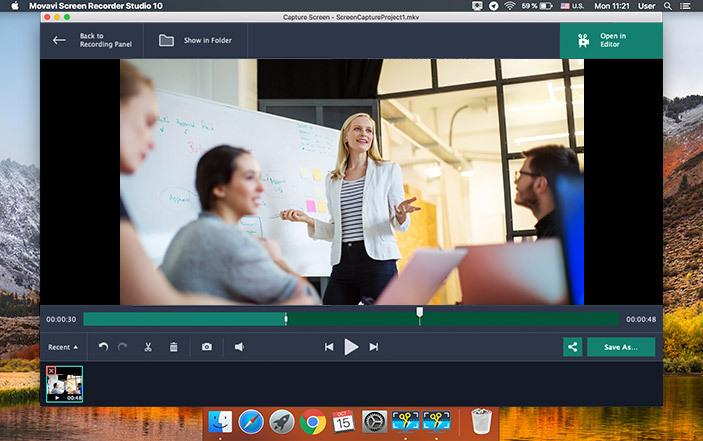 More than a screen recorder for Mac: capture and edit videos like a pro! 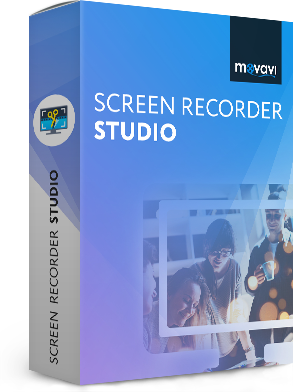 Video screen capture on Mac is easy with Movavi Screen Recorder Studio - start recording with a single button click. 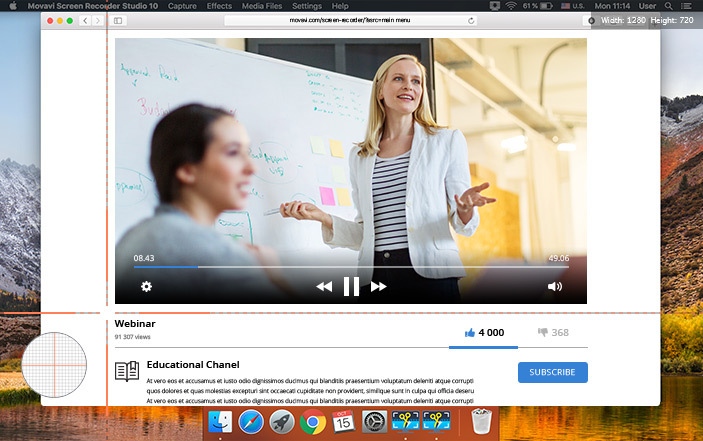 Capture webinars, live streaming, speed painting and anything else from your computer’s display. 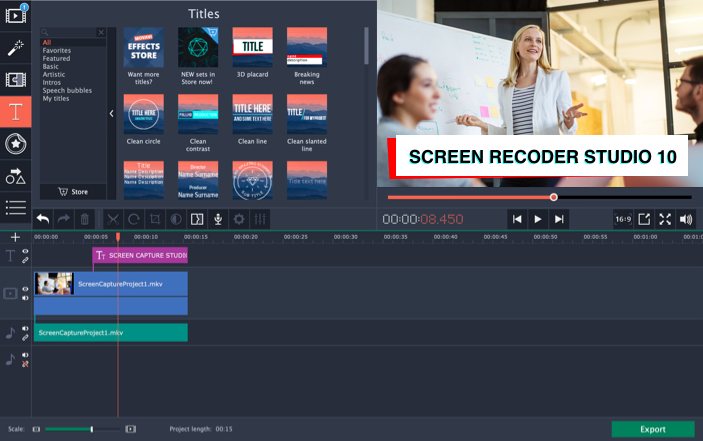 And you can do even more when you work with our screen recorder for Mac: create video blog posts, tutorials, and even movies using the built-in video editor. 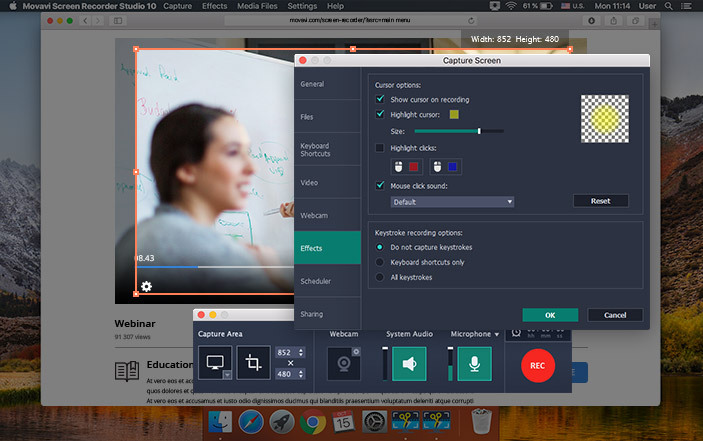 You don’t need fancy hardware for video capture on Mac - just our Mac screen recorder. 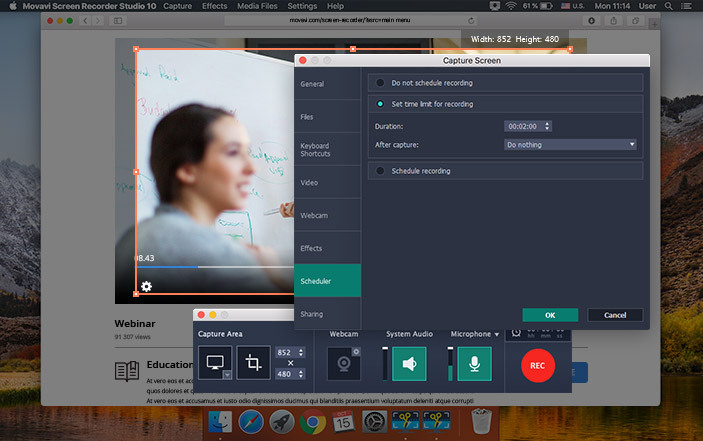 All-around video screen capture on Mac: grab desktop video, system audio, webcam, and microphone simultaneously. 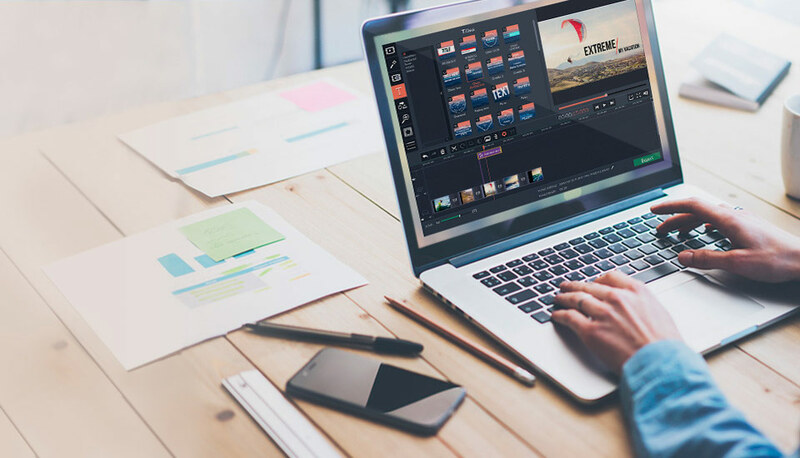 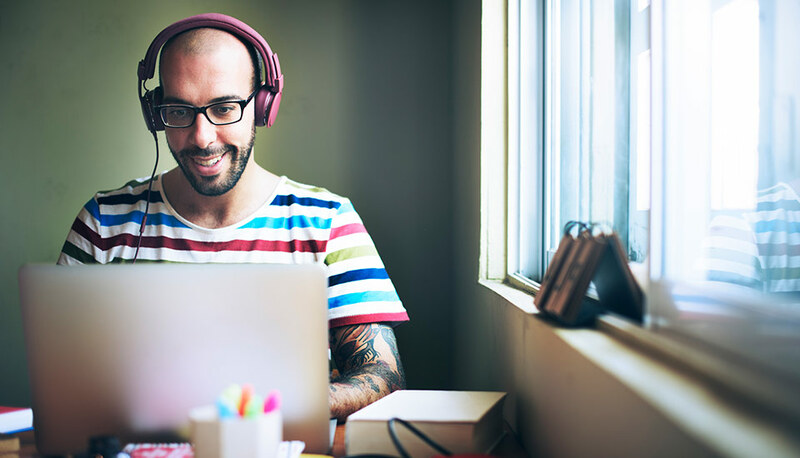 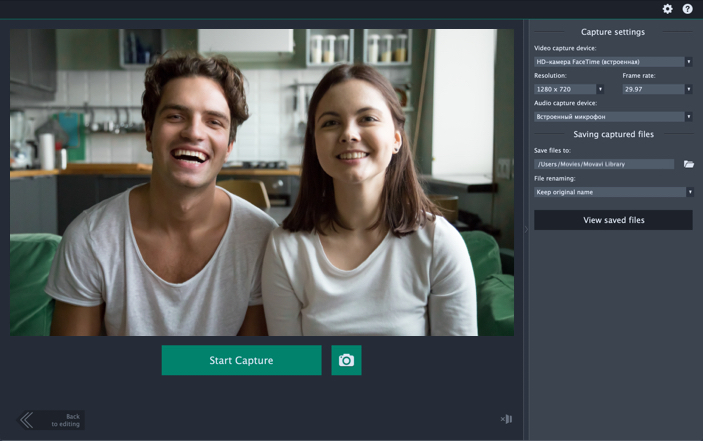 Our video recording software for Mac is so simple that anyone can use it, even if you’re a complete beginner with a little free time on your hands. 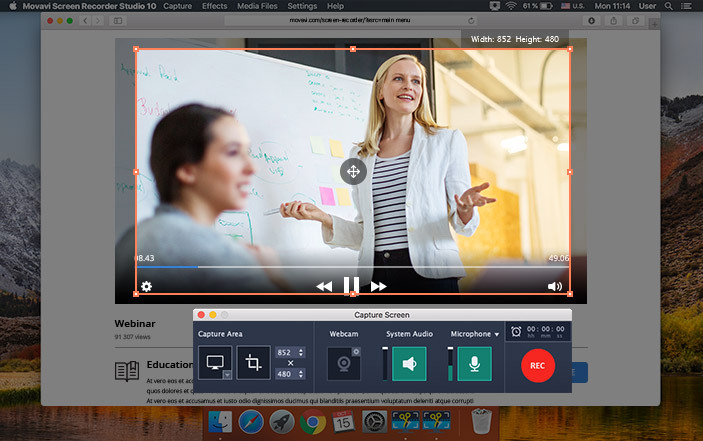 Movavi’s advanced screen recorder for Mac is compatible with OS X 10.7 or higher as well as any MacBook model, including Air and Pro. Download a free trial version of our video recorder for Mac today for trouble-free screen recording on your Mac. 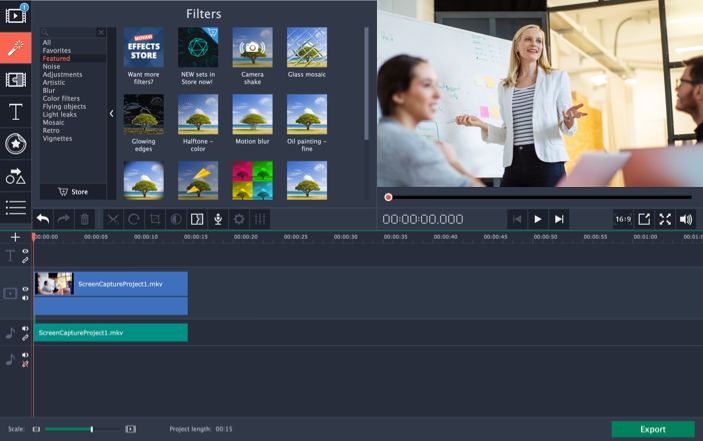 Note: all effects collections are compatible with Movavi Screen Capture 5.4 or higher.